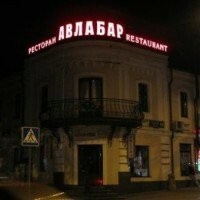 A wonderful georgian restaurant on Pushkinskaya can compete with any european one in a way of preparing and serving food. Attentive but not annoying waiters. A wonderful Georgian restaurant on Pushkinskaya can compete with any european one in a way of preparing and serving food. The cuisine here is georgian while the wine list is absolutely international. If you got used to a home food - this would be the right place for you because all the meals are made with love and taste like you Mom's ;) Live music on the background played by a young pianist can be a good company for you if you decide to eat alone.